In a cuddling session I like to concentrate on you, to give you my full attention. Every session is different and you can decide what would you like to do – talking, eye gazing, holding hands, sharing hugs, playing with hair, giving a back rub, or trying various cuddling positions. If you are not sure what you like, we can try a few different things. I will always respect your boundaries and expect you to respect mine. We can also practice saying no without feeling guilty. To say “no” means, that you listen to your body and treat yourself with love and respect. All sessions are strictly confidential! Your privacy is very important to me! 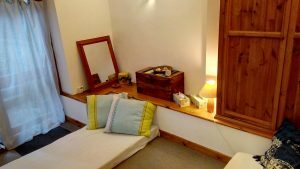 Location: Therapy room is located in Highgate, London. Tufnell Park underground station and Gospel Oak overground station are about 10 minutes walk. Parking: There is a free street parking except Mon – Fri: 10 am – Noon. Deposit: In order to book a therapy room, I require £15 deposit for each hour booked. The remaining balance is paid by cash at the beginning of the session or online prior the session. Cancellation policy: There is 72 hours cancellation policy in place. If for any reason you need to cancel the session, please do so more than 72 hours prior the session to avoid charges. Travel fee is £10 per hour of round trip travel time from Willesden, London. Sessions length must be equal to or more than travel time. You can pay cash at the beginning of the session, online via PayPal or by credit/debit card or via bank transfer before the session. I am available most days but I do have a busy schedule so the best is to contact me in advance. I look forward to meeting you!